Doesn't work going downhill and keep you at the speed limit though. It does when descent control is installed and used correctly. If the vehicle does not have descent control then it has to be driver controlled to maintain safe and or legal speed. Descent control is not designed for open road driving, it's for mainly slippery or rough downhill terrain offroading. Incorrect, it is appearing on most modern cars, it is brilliant at assisting with hill descent. On just about any vehicle hill descent control will not work above about 35km/h - not very handy on the open road. And I haven't seen HDC on any two wheel drive vehicles. On our SUVs it is a button push activation, on my wife's last car it was automatic, if she took her foot off the brake and accelerator the vehicle would maintain revs at optimum for the descent speed ( agreed that is an off reading must) but uses the vehicles ABS system and stability control to apply braking to maintain descent speed an control. Very useful in automatics, manuals not so as it is better to downshift and upshift to achieve this. A lot of drivers have lost the ability to control descent since the prevelence of automatic transmissions, most allow gravity to dictate terms and only use the brakes to control it, a very dangerous practice. I know how hill descent control works. You implied you can use it on the open road - you can't on just about any vehicle that I know of. It is just a useless button that will never be used by 95% people that have it in their vehicle and never go offroad in their SUV or 4x4. It is not just on SUV's my wife's two previous vehicles (cars) had it her current one does not. Her current car has an automatic and manual transmission of descent control can be achieved by using manual, the tachometer, light use of the brake etc etc. On my SUV it get used a lot. I was not implying you did not know how it worked I am sorry if you thought that, I was simply saying that wider implementation is happening which is quite often the case in vehicle development. My late mother had a saying that I have always remembered and it has influenced my driving since I first had my licence, that is "it is better to be late than dead on time"
With the up coming holiday season it is something I think a lot should remember, arriving 10, 20 40 minutes late to your holiday location is better than not arriving at all. So, slow down enjoy the view, stop often and make the drive part of the holiday. Best advice I ever got when it comes to driving: Always expect all the other drivers on the road to be morons that could do idiotic things at any time. jarledb: Best advice I ever got when it comes to driving: Always expect all the other drivers on the road to be morons that could do idiotic things at any time. I like this one. Motorcycle friend advised me to always expect motorists to kill you. With the 4km/h tolerance by police it's more of a ploy to have people think about their wider driving behaviour by making them aware of their speed IMO. It's the single thing that everyone talks about, an easy message to get out and while you won't consciously think about other aspects of your driving you are. It's a good ploy IMO even though I got a ticket last Xmas in Auckland for 5km/h over! Why was a speed camera on Great North Road at 6am on New Years Eve when most of auckland was elsewhere? To catch me I guess. With the speed limits in Auckland one thing I would like to see implemented is variable speeds through the motorway system. 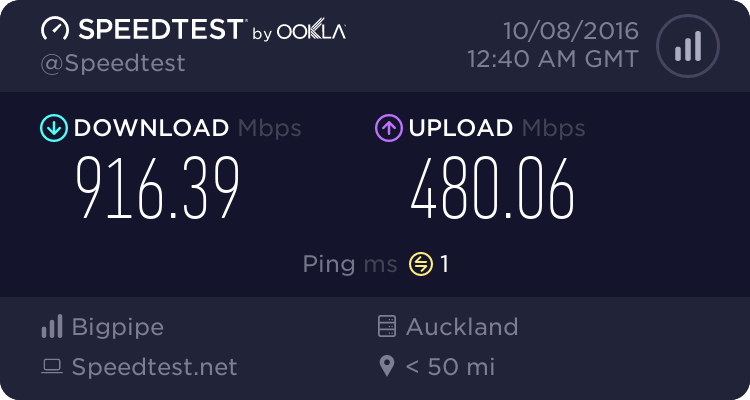 I work in Auckland and often drive vic park tunnel over the harbour bridge and going 80km/h at 1am on a Tuesday morning with 4 lanes to myself feels slow. I feel they could have variable speeds almost from Hamilton to Orewa now. The roads are good enough. The other thing to consider is that while the NZTA are responsible for the highway speeds the local council is responsible for the others. It's why Hamilton has some radical speed changes where Aucklamd is fairly consistent. Yea I strongly agree that legislation should be adapted on a national level, especially with the creation of a spectrum of limits rather than simply sticking to 50-80-100, it's the blanket situation that's quite dangerous. I certainly experienced this in Morocco (drove there over the weekend) all drivers around you are a potential hazard, stay away from others and you're fine. I really find it hard to believe that the average NZ driver struggles so much in concentrating on the people around them, even more so because nearly everybody drives in an automatic which requires very little concentration and should allow for way more focus on the traffic around you. In Europe, certainly 90% of all vehicles are still manual where people have to put more effort into driving and therefore have less time to effectively assess situations around them. The Toyota earlier mentioned having a tolerance of 10km/h I believe is standard on all Japanese vehicles, I also noticed this driving a Nissan Qashqai. Driving 110km/h on the speedometer indicated 100km/h on the GPS. In European cars the tolerance tends to stick around 4km/h, in a Ford or Renault you can do 104km/h on the speedometer and it will indicate 100km/h on the GPS. So to put this in perspective the NZ government has effectively brought down the level of tolerance from a Japanese statistic to a European statistic..
coffeebaron: Dual speed limits for passing lanes would be great. E.G. 90km left lane, 110km passing lane with strict enforcement for either exceeding 90km or impeding 110km. My Mum has a modern Toyota, but the speedo indicates 10kph below the actual speed when you're at open road speeds. So the people doing 90kph may think they're doing the right speed and wondering why everyone else is speeding. 10K out is a lot, are the wheels factory fit? and correct tyre size? That's about par for a modern car. NZ has no rules on speedo accuracy, the closest being the Australian Design Rules which specify a speedo must never read low (show less than true speed) but can read high (show higher than true speed) by as much as 10% + 4km/h. This is is line with EU rules. German cars seem to tell the biggest porkies, especially new VWs. I drive 4000-5000k a month, all over the country. My biggest issue is the variance in speed limits in semi urban areas. Hamilton has quite a few 80k areas, the number of times I've been dawdling along at 55ish and come across a 50k sign and wonder what the limit was in the area I've just driven through. I've got no issue with a 100kmh limit. It's more the zealous enforcement of it. In a perfect world we'd be able to pass slower traffic without exceeding the speed limit. However I see the drop in tolerance level as purely revenue gathering. In my last run I drove 1400k mainly north of Auckland, and saw not one cop car or speed camera. However the week before, another run of 1500k's, I saw no police or speed cameras in the lower North Island, but I saw 6 between Hamilton and Auckland, on possibly the straightest and best condition road in the country. My only serious moment came heading north towards Pio Pio where there is a long passing lane uphill that sweeps right. I had passed several campervans and came around the corner to discover a logging truck passing another logging truck at what must have been less than 10kmh (whatever the lowest notch on my speedo is!). Personally I would like to see less attention to traffic infringments to free up time for other types of crime. Mudguard, would recommend a good GPS unit to tell you what the speed limit of the area is. I use Tomtom on my iPhone and it will turn red when I am over the speed limit of the area I am in. Probably doesn't have all roads, but it has seemed pretty accurate on the trips I have had in NZ (Which have been from more or less top to bottom on the north island). jarledb: Mudguard, would recommend a good GPS unit to tell you what the speed limit of the area is. I use Tomtom on my iPhone and it will turn red when I am over the speed limit of the area I am in. Probably doesn't have all roads, but it has seemed pretty accurate on the trips I have had in NZ (Which have been from more or less top to bottom on the north island). I have found this to be unreliable in NZ. Last week I travelled the entire length of the urban motorway with it telling me I was exceeding the 50KMH limit. I have a Tomtom. That sounds bad. Do you know how old your map is?